Systemic lupus erythematosus, or SLE, is an autoimmune disease that mistakenly attacks healthy tissue in the body, and research shows it raises mortality rates by as much as 67 percent, with young adults being at the highest risk. The Lupus Foundation of America estimates that about 5 million people suffer from some form of lupus worldwide. Systemic lupus erythematosus is the most common form of the disease, but there are other types, such as lupus limited to the skin and neonatal lupus. The recent study, which was published in Rheumatology, indicates that mortality appears to be 67 percent higher for those with systemic lupus erythematosus than for adults without the disease. 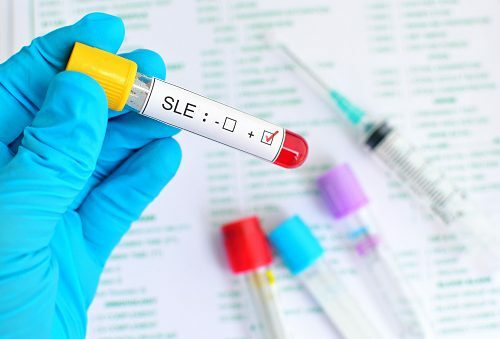 After analyzing lupus patient data in the United Kingdom between 1999 and 2012, researchers discovered that the mortality rate for people with SLE was more than three times higher for those who were under the age of 40 than it was for young adults without the autoimmune condition. The most common causes of death in the lupus analysis were circulatory disease and malignancies. However, the Centers for Disease Control and Prevention reports that oftentimes, the cause of death for lupus patients can be organ failure, or cardiovascular disease brought on by atherosclerosis. Atherosclerosis is when an artery wall thickens as a result of white blood cells accumulating and smooth muscle cell creating fatty plaque. The researchers from the United Kingdom’s University of Nottingham looked at close to 3,000 lupus patients, 200 of whom died. They calculated mortality rate and looked at men verses women, determining that men were about twice as likely to die at any given time as females with SLE. It is interesting to note that 90 percent of people diagnosed with lupus are women. It is also important to point out that the study showed the relative risk for death was highest at a younger age, but nearly the same by age 80. The findings have prompted those involved in the study to call for improvement in treatment for systemic lupus erythmatosus (SLE) patients, especially patients who are young adults. As it turns out, lupus death rates appear to vary depending on race. Last year, Brigham and Women’s Hospital in Boston conducted a study that revealed lower mortality rates among Asian and Hispanic lupus patients. The researchers, who had their findings published in the Arthritis and Rheumatology journal, reviewed Medicaid claims that were filed by over 42,000 lupus sufferers between the years 2000 and 2006. By racial ethnic group, the percentages of people with lupus were as follows: black, 40 percent; white, 38 percent; Hispanic, 15 percent; and Native American, 2 percent. Hispanic and Asian lupus sufferers had the lowest mortality rates. The rate was highest among Native Americans, followed by blacks, and then whites. The analysis showed death rates were 52 percent lower among Hispanics and 41 percent lower among Asians, compared with whites. Using a special risk adjustment index, the study did adjust for other health conditions in subjects, including pericarditis, which is inflammation of the tissue surrounding the heart; thrombocytopenia, a deficiency of platelets in the blood; seizures, and anemia. Blacks had higher scores on the risk adjustment index, while Hispanics and Asians had lower scores. Whites had low scores except for a higher rate of lupus nephritis, which is lupus of the kidneys. The index showed that Native Americans had more diabetes and obesity. The analysis also took socioeconomic and lifestyle factors into consideration. The researchers say these factors play a role in health outcomes, particularly when dealing with our immune system. Right now, an estimated 1.5 million United States residents of all different ethnicities suffer from some type of lupus. Experts say knowing variations in death rates among ethnic groups is key to figuring out the best methods to treat each patient, modify risk factors, and of course improve survival for people who are suffering from lupus. With proper care, the majority of people who suffer from lupus – that is 80 to 90 percent – can live a normal lifespan. Even young adults at higher risk of mortality can do something to improve their chances of better health. Flare-ups: proper medication/therapies can help control flare-ups and prevent lasting organ damage, so work closely with your doctor to monitor your condition. Heart care: lupus can be hard on your cardiovascular system, so have your heart checked regularly. Brain care: report any changes in mood, memory, or concentration to the doctor. Lupus can impact your neurological pathways. Pregnancy: becoming pregnant while lupus is quiet (not flaring) seems to result in healthier pregnancies. Joint care: regular exercise can help ward off stiffness and swelling associated with lupus. Diet: a heart-healthy diet has proved to be helpful for those suffering from lupus. Sun exposure: protect yourself from the sun. About 50 percent of lupus patients get troublesome skin rashes due to sun exposure. Lupus can be a serious disease. Years ago, it was a death sentence, but today with more knowledge and modern medical therapies, lupus patients can live a full life. If you suffer from lupus, you have some power to keep the disease under control by avoiding certain things, paying close attention to symptoms, and seeing your doctor on a regular basis. New medical evidence suggests that women with the autoimmune diseases lupus and antiphospholipid syndrome (APS) may be at risk of reduced fertility and pregnancy complications. Lupus risk is associated with chronic exposure to staph (staphylococcus aureus) bacteria. A study from the Mayo Clinic revealed that chronic exposure to staph – even in small amounts – increases the risk of lupus.